Enter to win in our baby cargo stroller giveaway! This is an excellent giveaway to win even if you aren’t expecting or have a baby. This would make an excellent gift for the mom-to-be in your life. Enter to win a baby cargo stroller and stroller bag below! Good luck everyone! Baby Cargo makes everything you need for your on the go baby. With three strollers to choose from, you’re sure to find the perfect fit. The Georgi Stroller Bag fits on your stroller handles and will carry all your baby’s essentials. See the full Baby Cargo Review on My Four Littles. 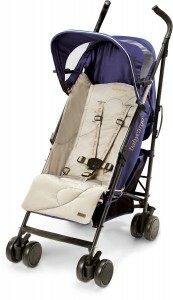 One lucky reader will win Baby Cargo 200 Series Stroller and a Baby Cargo Georgi Stroller Bag. This giveaway will begin 12:00am EST April 28th and end 11:59pm EST May 16th. Disclosure: This giveaway is not associated with, affiliated with, endorsed by, sponsored by, or connected to Facebook, Twitter, Pinterest, or any other social media platform in any way. Social media outlets are in no way responsible for sponsor prize fulfillment. The sponsor alone is responsible for fulfilling the aforementioned prize. This blog did not receive compensation for posting this giveaway. Your information will not be shared with anyone without your explicit consent. 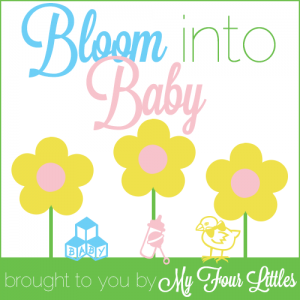 This giveaway event is hosted by Amanda from My Four Littles and Four Littles Media. You can contact Amanda at contactus@myfourlittles.com with any questions, concerns, or to see your company featured on a Four Littles Media event. I would choose the smoke and mirrors color for my daughter who just had a baby last week. I would choose the cherry color for my brother’s upcoming baby due in July! I would choose the Ocean/Stone stroller and the Ocean / Wave bag and give it to our friends who just found out they’re having a boy. Thanks! smoke and mirrors stroller and ash/violet bag for me, I am expecting #7 due tomorrow! The Cherry/Pom is awesome!! My girl would love riding in this! I like the ocean/stone.Thanks for the chance. The Smoke/Mirrors would go to my friend who just had her first! I think I would choose gray and I would give it to my daughter in law. I’d choose the Smoke/Mirrors stroller and the Moonless Night bag and give them to my nephew and his wife. I’d select the Ocean/Stone color for the stroller and the Ocean/Wave color for the bag. This would be for best friend’s daughter who is pregnant for the first time. I would choose Ocean/Stone and give it to my daughter who has a baby on the way! !